I still haven't dont any baking, but I'll continue to update you on my other food related adventures. In an attempt to create a kitchen stocked with supplies to help me eat more local (locally?) 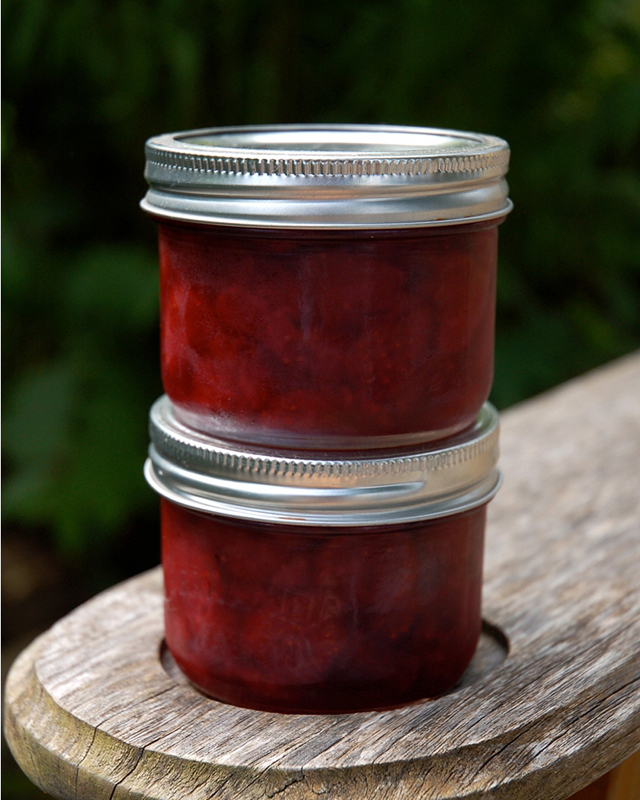 during the winter, I have been exploring the world of jams lately, to preserve some of summer's bounty. Since strawberry season was first, I started there. My mom and I went strawberry picking as often as possible and froze most of what we didn't eat. However, I did set enough aside to attempt strawberry jam, using Ashley English's book Homemade Living: Canning & Preserving with Ashley English: All You Need to Know to Make Jams, Jellies, Pickles, Chutneys & More. I followed her recipe for basic strawberry jam, replacing every cup of sugar with 7/8 cup of honey, at her suggestion. 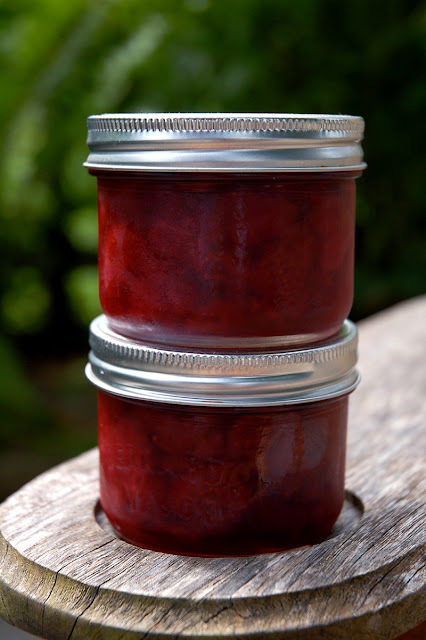 I also followed her section on sterilization and general jam making to tackle the procedure—that part was very clear and I've used it every time since, with great success. However, the recipe wasn't such a triumph and I ended up with a strawberry sauce instead...the jam never gelled. Back to the jam making. I did some basic research and am fairly certain I would need to add pectin to have any success making strawberry jam without sugar. Regrettably, the season was done before I returned to the hot water bath...I was pretty annoyed at myself for taking so long and missing my chance. Unable to turn back, I moved forward and onto the next berry—raspberry. I have really been wanting some jam lately...but avoid it because the amount of sugar often makes me sick. Therefore I would quite like to try this recipe! Even if it turns out as a topping, it looks and sounds delicious! I have found a recipe that includes pectin and uses honey instead of sugar, would you like me to send it to you?